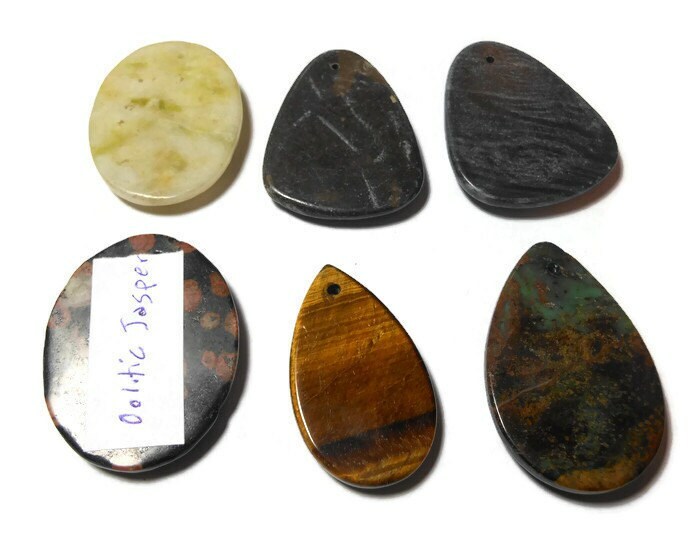 Choice of gemstone pendants, mixed colors, 40x30mm to 46x40mm mixed shape with flat back, includes oolitic jasper and tiger's eye. 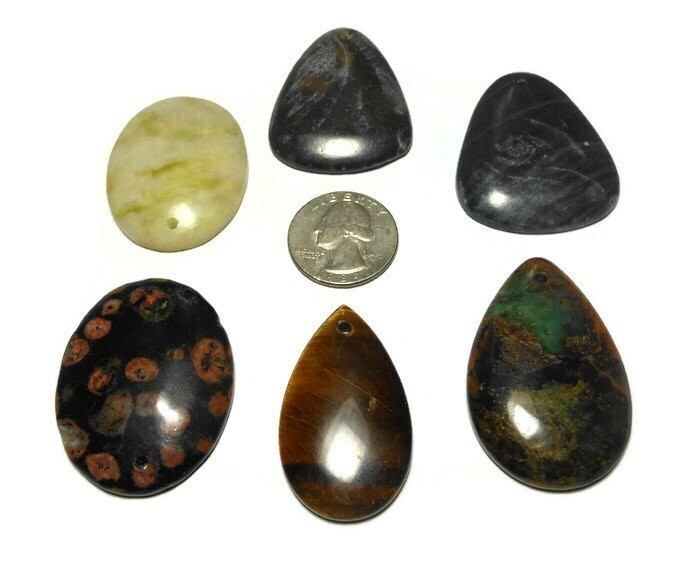 The Oolitic jasper and the tiger's eye I can identify. 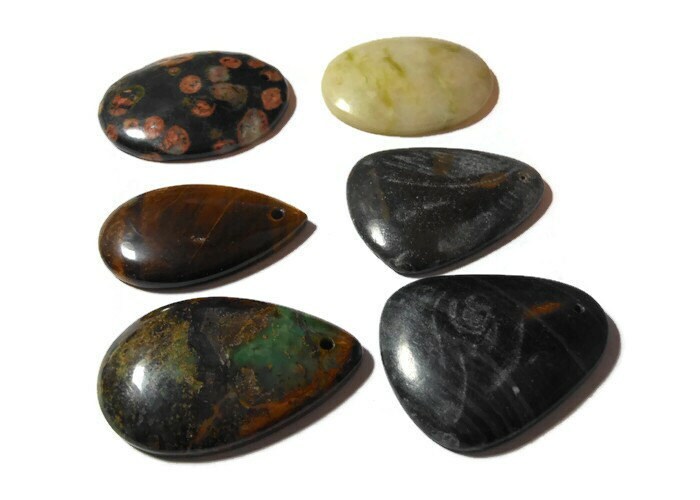 They are, in the first photo, the spotted and the golden brown ones on the bottom left of the bottom row. 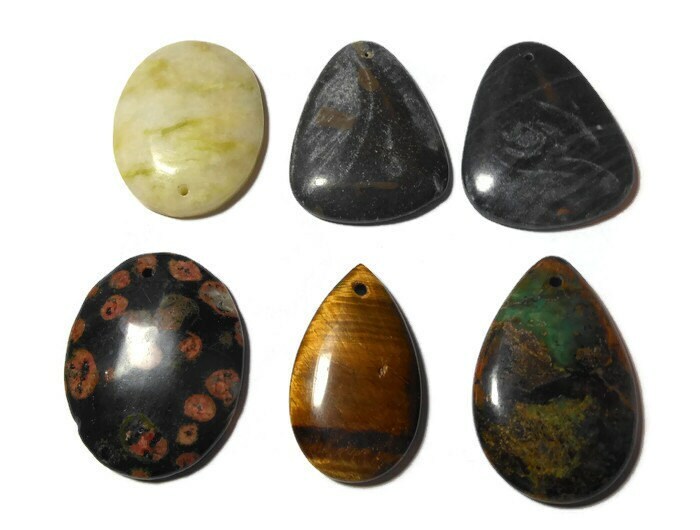 I think the one in the center on the top row is portoro marble and the one to its right black and gray marble, I think the whitish one is earth jasper and the other green jasper. Examine photos closely as natural occurring flaws appear in some. Please use 1st photo to tell me which one you want by where they are. 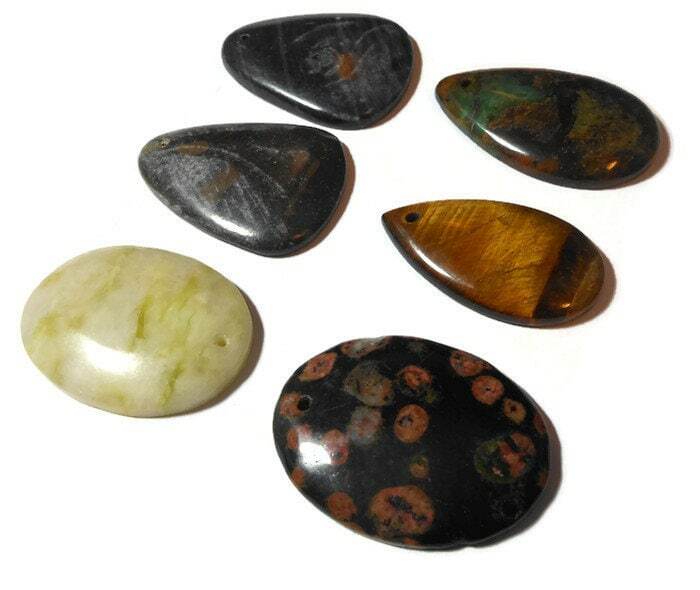 If you would like all please convo me and I will change the listing to 6 for $20 or buy 5 get one free.